Word has it that Winston Churchill enjoyed playing card games like Gin Rummy and Mah Jong with his family before dinner and many of the world’s presidents played poker with their advisors. That’s because card games existed way before the digital age of smartphones and gaming. The origin of analog games goes way, way back to the the 9th century China. 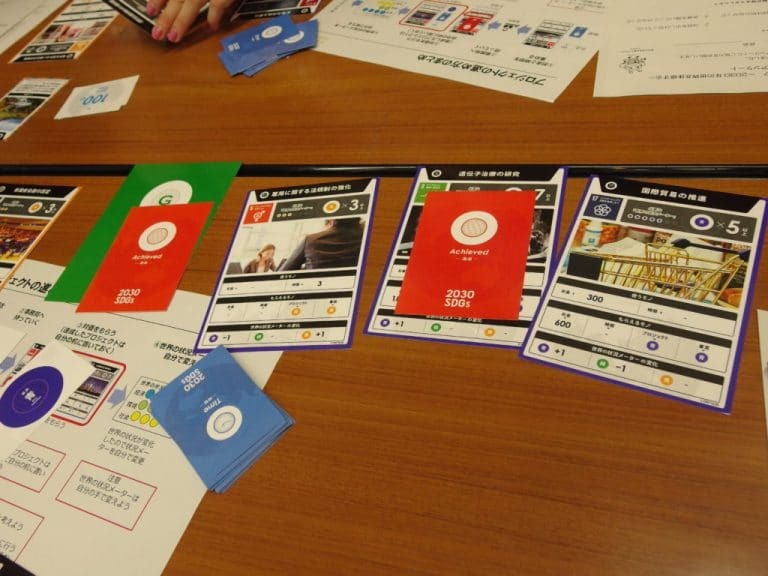 Big in Japan, today one card game is taking over events in corporate, governmental, educational and community settings – to bridge the game world and the real one in a socially conscious way. No batteries required. It’s based on the SDGs – the 2030 Sustainable Development Goals that provide a framework for developing a fair, prosperous and environmentally sustainable world. Agreed by every UN nation in September 2015, there are 17 goals and 169 specific targets to be achieved by the year 2030. Sometimes global goals like these can seem too big to enable a single person, organisation, or community to make a difference. That’s where the 2030 SDGs Game comes in. The multiplayer, in-person, card-based game lets a group steer the world from now to 2030, making the choices that determine our shared future. 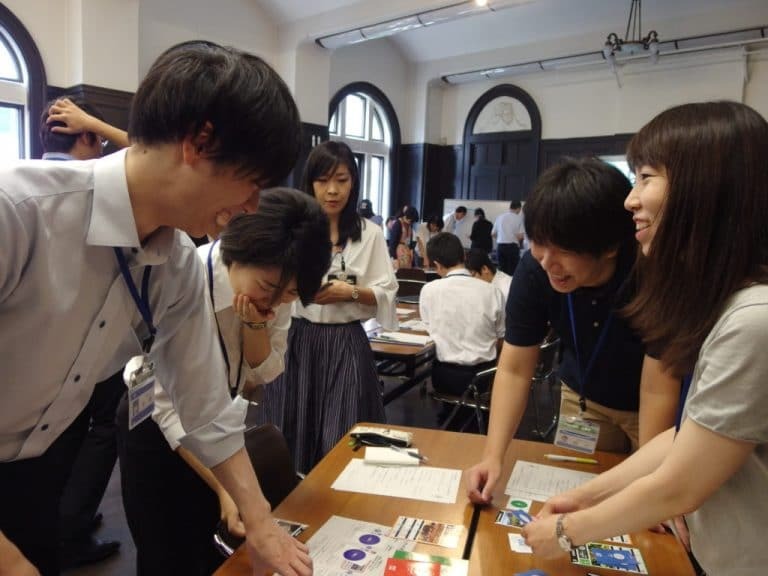 Designed in Japan in 2016 and developed under the umbrella of Japanese NGO Imacocollabo, the 2030 SDGs Game has become a popular, powerful and impactful social phenomenon there – played by more than 15,000 people per year – thanks to its empowering and transformational approach. As well as learning about the SDGs, it teaches about a sustainable society, environmental and social issues, gender equality, refugees, future communities, creating a vision, team building and leadership development. Designed to be played with anywhere from 5 to 200 players, with multiple parallel ‘worlds’, the rules are simple. 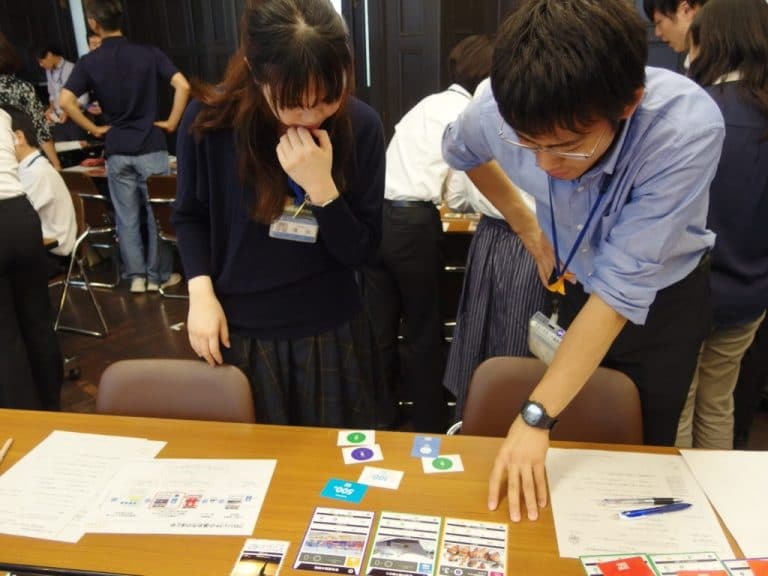 Players use time and money to achieve a goal in real-world project – and finish the game seeing the connection between small choices and large outcomes, and knowing that they can make a difference. You might be a ‘Fortune Seeker’, for whom money is the most important thing – or the most important thing might be to ‘Live in Comfort and Leisure’. You might be someone who wants to end poverty, or to protect the environment. Just like in the real world, in this world there are diverse people with different values. AtlasAction: Do you want to host the game? Are you wondering about how the game can help your business? 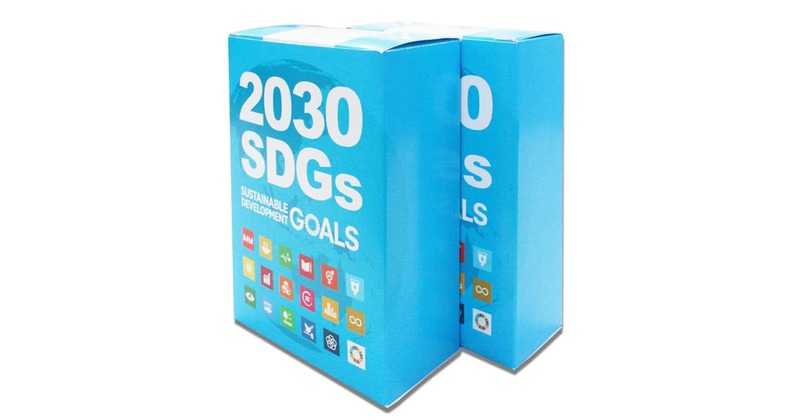 Get in touch with the 2030 SDGs Game here. 2030 SDGs Game was mapped by Louise Ash in her AtlasChart: 10 rebels with a cause. Tags: Awareness raising, Circular economy, Climate change, Communication, Culture, CultureFutures, Design, Education, Empathy, Entrepreneur, Environment, Gaming, Identity, Information, Mapping, Storytelling.